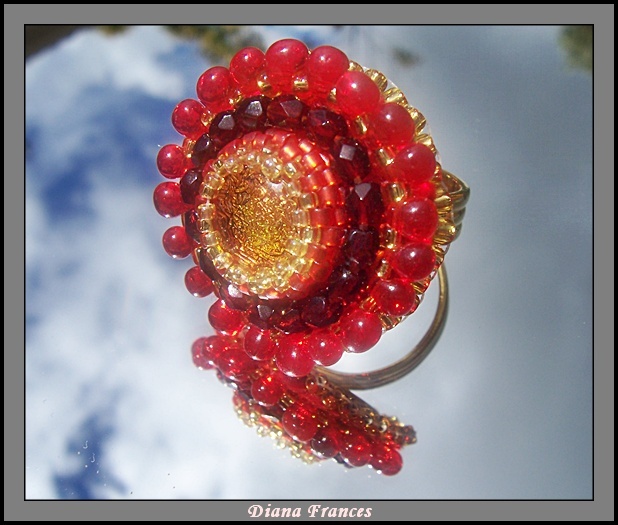 Gorgeous Fuchsia and Black Glamour ring completely handmade and stitched. Set on Gold adjustable ring base. Sure to wow them. 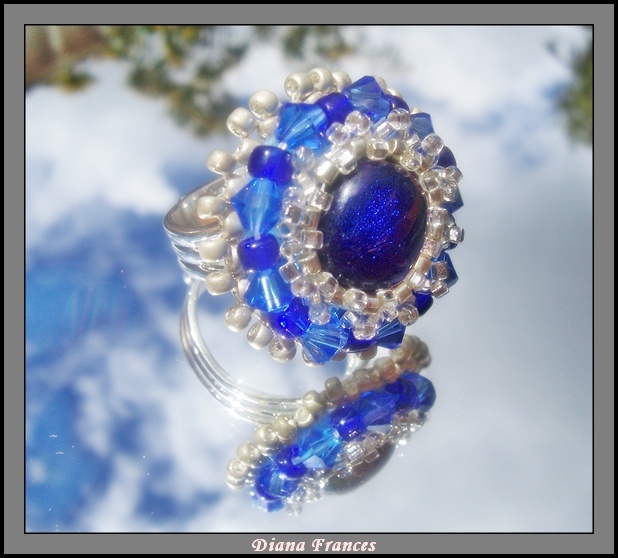 A very regal ring sure to wow! The middle is a gorgeous Dichroic glass cab (From Glasfame) set with Japanese Seed beads, Czech Firepolished Beads and Japanese Drop Beads. The ring has a very comfortable adjustable ring base in gold. Blue dichroic glass cab (by Glasfame) surrounded by Swarovski Saphire cyrstals and silver Japanese seed beads. The ring has an adjustable base in silver.